OFW Ban to Kuwait: Are Remittances Behind Why Govâ€™t Moved Only Now? The Department of Labor and Employment (DOLE) ordered a total ban on the deployment of overseas Filipino workers (OFWs) to Kuwait on February 12. Labor Secretary Silvestre Bello III said the total deployment ban came after reports of abuse and death of OFWs in Kuwait came to light, including the case of Joanna Demafelis, a domestic worker whose dead body was found inside a freezer. A vast majority of OFWs deployed to Kuwait are classified as domestic helpers and related household workers. The order for the deployment ban came from President Rodrigo Duterte himself. “The major concern of the President is safety and the welfare of our OFWs. The ban is our way to send a strong message to the government of Kuwait and other Arab countries that the protection and security of our OFWs is foremost in our policy,” Bello said in DOLE’s statement. Demafelis’ death raises the question why Philippines imposed the ban only now when reports of abuses of Filipina domestic helpers in the Middle Eastern country have been on the rise in recent years. 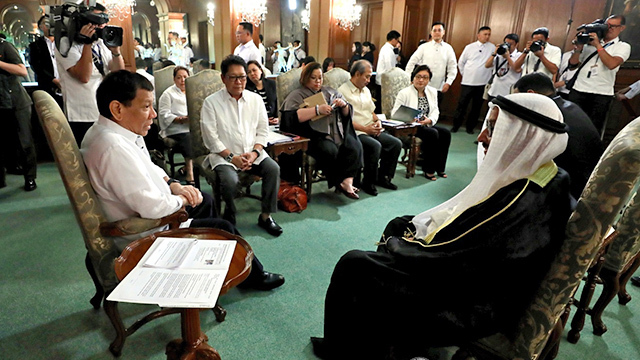 The Philippine government has been trying to get the Kuwait government to sign a memorandum of agreement on the protection of OFWs in the sheikdom for the past two years to no avail. Still, the government continued to allow the deployment of Filipino workers to Kuwait. In fact, annual OFW departures for Kuwait rose by more than 50 percent from 70,098 in 2014 to 109,615 in 2016, the latest year for which data is available from the Philippine Overseas Employment Administration (POEA). In an interview with Unang Balita in GMA 7, Bello said the total deployment ban may be a leverage for the country to get the Kuwaiti administration to finally sign the bilateral agreement. “They (Kuwait) don’t want the provisions prohibiting them to keep the OFWs’ passport, prohibiting unlimited working hours. Under the MOU, the OFWs are supposed to be allowed to own a cellphone. Ayaw nila eh (They’re against it),” Bello said in a report by Manila Times. It is not the first time the Philippine government issued a deployment ban of Filipino workers to other countries. In 2011, the government banned the deployment of OFWs to 41 nations because of the lack of sufficient labor protection in those countries. Data from POEA show that Kuwait has consistently been in the top 10 destinations of OFWs since 1998, its earliest available data. The number of OFWs deployed to, as well as the total remittances sent from, the Arab country has also been steadily rising. In 2016, a total of 109,615 land-based OFWs were deployed to Kuwait. This makes it the sixth top destination for overseas workers, according to the POEA. Kuwait is also the eighth largest source of OFW remittances in the world, reaching $730.9 million from January to November 2017, according to Bangko Sentral ng Pilipinas data. In the full year of 2016, it recorded $853.3 million.